Outskirts Press announces Remembering Moz, the latest highly-anticipated FAMILY & RELATIONSHIPS / Parenting / Fatherhood book from Pittsburg, CA author Codis Hampton II. October 24, 2015. 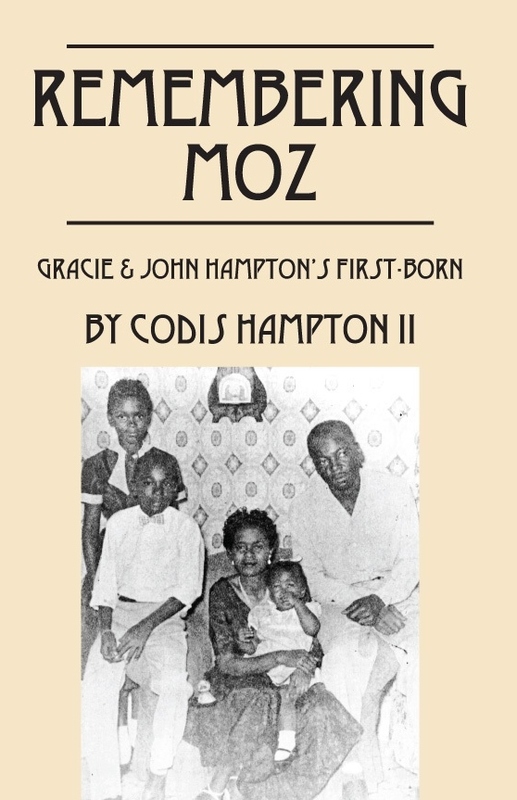 Denver, CO and Pittsburg, CA – Outskirts Press, Inc. has published Remembering Moz: Gracie & John Hampton’s First-Born by Codis Hampton II, which is the author’s most recent book to date. The 6 x 9 paperback white in the FAMILY & RELATIONSHIPS / Parenting / Fatherhood category is available worldwide on book retailer websites such as Amazon and Barnes & Noble for a suggested retail price of $15.95. Remembering Moz is also available in its 6 x 9 hardback w/ jacket edition for $25.95. The webpage at http://www.outskirtspress.com/rememberingmoz was launched simultaneously with the book’s publication. In Codis Hampton II’s highly anticipated new book, the author pays tribute to his late father, eloquently capturing the spirit and soul of Codis “Moz” Hampton, Senior. A dedicated family man, Moz touched everyone he met with his kind and generous personality and was held in high esteem by family, friends, and coworkers. Remembering Moz not only honors one man’s father and the rich heritage of family ties; the book also explores the broader themes of man’s career, social, and political expectations, the ramifications of individual choices, and other social commentary, both serious and humorous. It takes you on a ride through Moz’s Roots as far back as the beginning of the Civil War and explores the State of Arkansas role in it. Codis Hampton II retired from civil service in 1996 and turned to his true love: writing. He is the author of Unchon-ni, a semibiographical tale about his military tour in Korea, and Gracie Hall-Hampton, the Arkansas Years, 1917-1953—a book about his grandmother’s life in the segregated South. 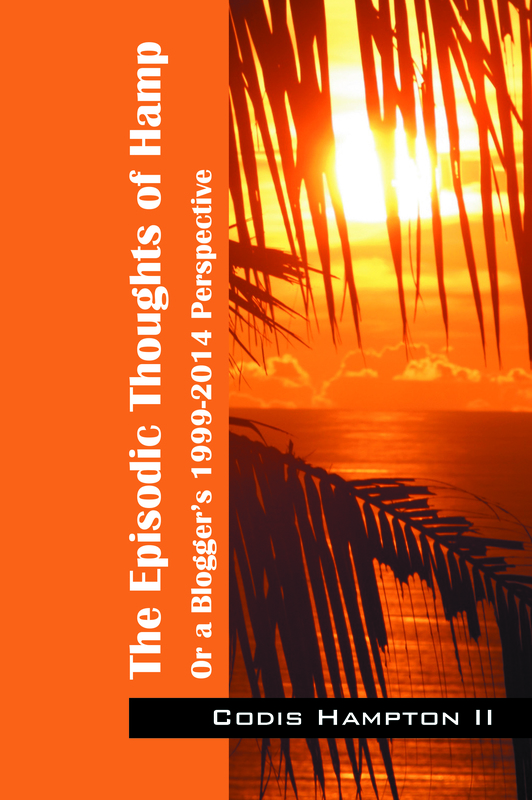 Codis began broadcasting “Hamp’s Corner of America” via Blog Talk Radio in June of 2014 and released his third book, The Episodic Thoughts of Hamp, or a Blogger’s 1999-2014 Perspective, shortly thereafter. For more information about the author, visit http://www.blogtalkradio.com/HampsCornerOfAmerica/ or http://hcofa.net for a compilation of his works, interests, and musical taste. Outskirts Press, Inc. offers full-service, custom self-publishing and book marketing services for authors seeking a cost-effective, fast, and flexible way to publish and distribute their books worldwide while retaining all their rights and full creative control. Available for authors globally at http://www.outskirtspress.com and located on the outskirts of Denver, Colorado, Outskirts Press represents the future of book publishing, today. The author’s creativity is on full display as he has included a set of new characters, Kyle & Jamal Blogs. They are hip “flies on the walls” of Congress and others folk in the news. Their comments are amusing while listening to and reporting on the private discussion of lawmakers and other newsworthy folks. The author takes you through 366 pages of a large collection of timeless articles written about relevant people and incidents in a given timeline. The people are noteworthy because of their employed or elected positions. The subject matter is a major interest to Mr. Hampton because of its relevance to his race, personal and business economic status in America. The articles/blogs are written in an informative, differentiating viewpoint while pointing out (in the author’s opinion) the fallacies presented in the authorities statements or implantation of certain programs. In short, Mr. Hampton points out what was not said, should have been said, and goes further by suggested what should have been done. My friend Codis II Hampton is an author whose works you must read. Check out his latest project which is a compilation if His blogs. He also wrote two books which I could not put down, Unchon-ni, his autobiographical account of his tour in the army, starting at the age of 17. An amazing work! 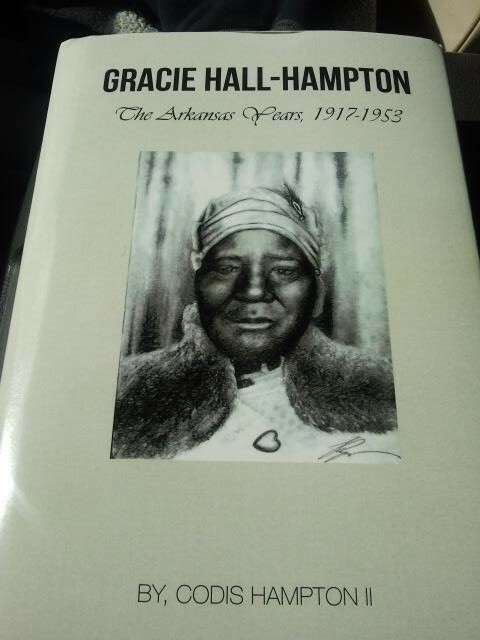 His second book, Gracie Hall- Hampton, is the story of Codis’ grandmother covering the years of her life in Arkansas from 1917-1953. I would stay up until the wee hours of the morning reading this one also! Codis is a very talented writer. Please support his work. We must support one another in order to start building wealth among ourselves! , signed as pictured, Jay Light. George Bernard Shaw is quoted as saying “Youth is wasted on the young.” I understand the meaning but disagree with the statement. My reasoning is that at no time during one’s life are we more willing to listen to and accept different viewpoints than when our parents crowded our brains (Health, education, etc.) from toddler to teenager. 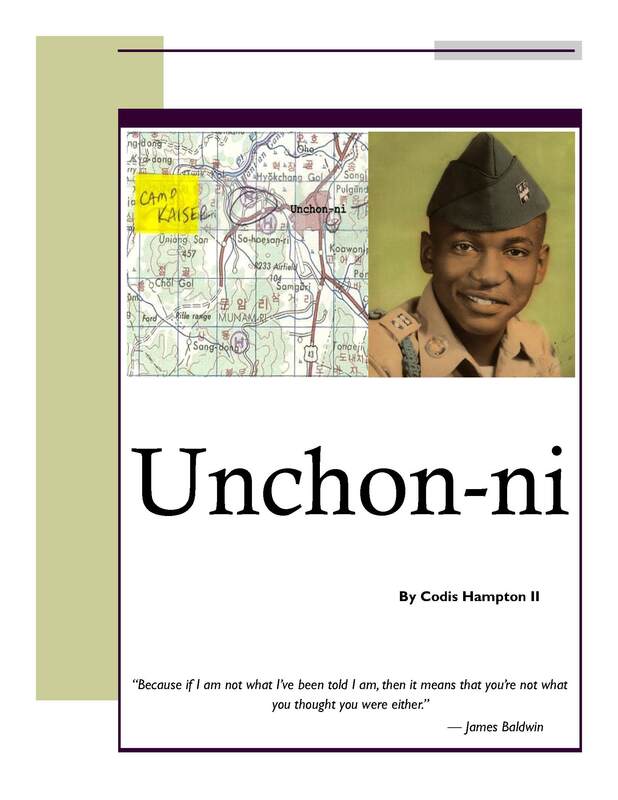 For a copy of Unchon-ni, table-top paperback contact the author at champtonii@yahool.com with payment arrangements. The book is on sale at $10 each plus a small shipping fee. All books are available at the respective publishers, Amazon.com, Barnes and Noble, in all e formats including iPad and iPhone.